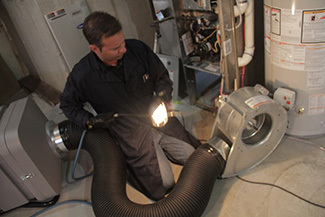 Air Duct Cleaning Services - Windsor-Essex Janitorial Inc. It is important to routinely have your air ducts cleaned by professionals because potentially harmful irritants can settle in your ducts and can become airborne each time your heating or cooling systems are turned on. These irritants can pose a health concern for people suffering from asthma, allergies, and other respiratory ailments as they can aggravate airways and make breathing difficult. Our air duct cleaning services can help minimize exposure to these pollutants by cleaning your heating and cooling ventilation ducts to ensure that your business is getting optimal indoor air quality. Contaminated air ducts can also lead to malfunctioning heating and cooling systems as AC coils, blower wheels and furnace filters can become clogged from debris. Having your heating and cooling systems’ air ducts cleaned regularly can help to prolong the life of the systems, help ensure that the systems are running at maximum efficiency, and help reduce overall energy costs. We highly recommend our professional air duct cleaning services to anyone that has recently purchased a new building, has had renovations done, or has installed a new furnace or air conditioning unit. 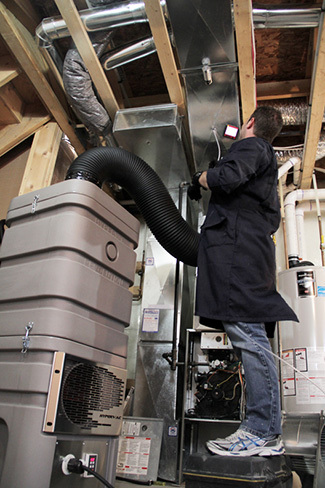 We encourage business owners to have their air ducts cleaned every 2 years. Buildings with pets, young children, or individuals that suffer from respiratory conditions such as asthma or allergies, are recommended to have their air ducts cleaned on a more regular basis, such as every six months to a year. 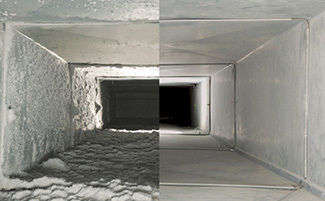 Call us now to set up an appointment to have your business’ air ducts professionally cleaned.